Drake Associates has over thirty years of experience working within the firearms and military communities. 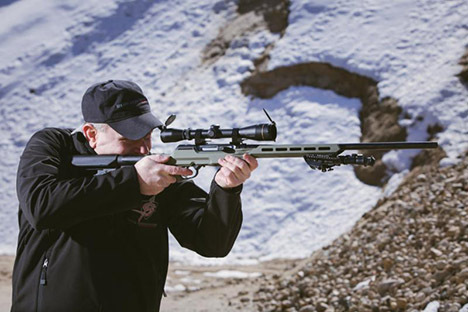 Prior to developing precision rifles at an affordable cost, Drake Associates had been involved in providing components, equipment and ordinance to the United States Marine Corps, the US Arsenal at Lake City and other ammunition related companies. Components developed by Drake Associates have been in use by the US Military for decades including cartridges used by Marine Corps Snipers. The transition from producing quality munitions components to quality rifles was a natural one fueled by CEO Chris Drake's experience as a rescue operative at World Trade Center Tower 1 on September 11, 2001. Chris Drake had been sniper weapons systems program manager during the terror attacks on the World Trade Center and his experience at Ground Zero motivated him to make sure Military and Law Enforcement personnel have access to the best affordable precision rifle system on the market. Drake's belief that a bullet sent down range at the enemy helps ensure the safe return of a member of the armed forces has driven him to develop the line of Drake Associates precision weapon systems. Building a team at Drake Associates consisting of former military snipers and competition shooters, Drake makes sure his weapons are competitive as well as affordable. 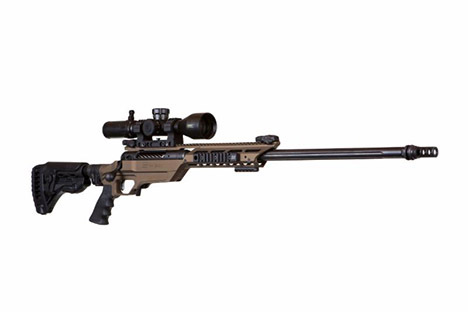 In 2015 a Savage® based rifle named the "Drake Hunter Stalker" was embedded with a US Special Forces Unit in Afghanistan where operators achieved consistent 0.4MOA groups at 1,350 meters. During this time, and since, Drake Associates weapons have boasted multiple national competition placings. Most significantly, in 2017 the "Drake Hunter Stalker SOCOM/Drake Savage ® Stealth Evolution 2.0" finished first in the Open Class at the US Army International Sniper Competition at the US Army National Guard Warrior Training Center and placed second overall. In prior years at the same event the previous versions of the weapon system ranked first in the Top National Guard Team, second place for Non-Special Operations Competition Units, eighth over all in 2015 and fourth place overall in 2016. Drake Associates continues to push the limits of their weapon systems working to make them as reliable and precise as possible while continuously outperforming premium rifles that are far costlier. Drake Associates continues to work with the US Military and is now involved with US Air Force Special Operations Para-Rescue Teams providing them with a precision close quarters battle MK18 style rifle and a designated marksman rifle MK12 variant as well. On top of Drake Associates rifles finding their way into service, they appear in charity as well. In 2018 Chris Drake supplied the US Marine Corps Scout Sniper Association with their fundraising rifle that was raffled off at a private fundraiser. Drake Associates components, equipment, and weapons systems are utilized throughout the US Military and Law Enforcement from competitions at home, to US Marine Corps Precision Weapons Section at Quantico, to Afghanistan. The name Drake has become synonymous with precision, reliability, and affordability, and is now available to the civilian market. Drake Associates is now partnered with USIQ who handles their distribution, marketing and customer service within the United States.